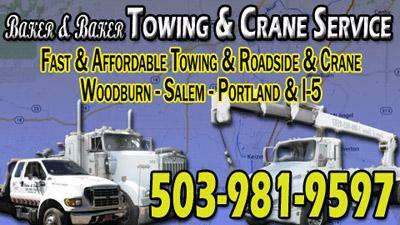 Baker & Baker Towing Service provides 24hr heavy duty towing services throughout central Oregon and long Interstate 5. They offer complete heavy duty towing and recovery services as well as POE and scale services. Their team of trained and experienced towing and recovery operators are prepared to serve you 24 hours a day, 365 days each year.